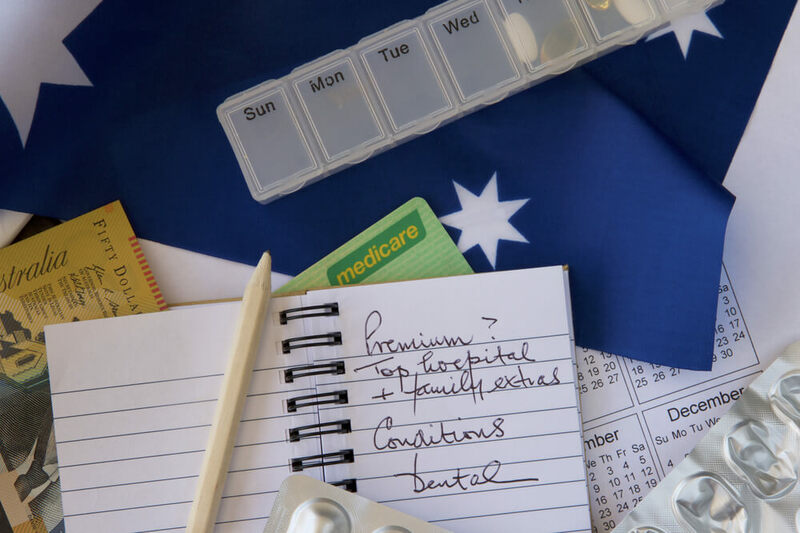 Many Aussies misunderstand how health insurance is priced. Namely, they believe that health insurance is more expensive if you’re older, or if you have a pre-existing condition. While numerous factors affect your health insurance premium, you may be surprised to learn that it’s a simple product when it comes to how premiums are calculated. Does Age affect health insurance premiums? Australia’s community rating system ensures that every person – regardless of age, health and claim history – can purchase the same health insurance policy at the same price, with the ability to switch to a new policy without penalty. With that said, it is advantageous to purchase private health insurance when you’re younger, to avoid being affected by Lifetime Health Cover (LHC) loading. The Australian Government introduced LHC loading as an incentive for Australians to take out private cover at a younger age, by charging a fee to people who decide to purchase a private hospital policy later in life. As a result, premiums include a 2% yearly loading for every year after you turn 30 if you fail to take out hospital cover prior to 1 July following your 31st birthday – although, the loading will only come into effect if you take out hospital cover in the future. Taking this into consideration, someone aged 40 would have to pay 20% LHC loading (unless an exemption applies) on top of their usual premium if they purchase private hospital cover for the first time following their 31st birthday. The maximum loading amount is 70% and your loading will be dropped altogether once you’ve held hospital cover continuously for 10 years. Depending on your taxable income and age, you may be eligible to receive the private health insurance rebate. The rebate is currently tiered by income and age brackets, ranging from 8.64% through to a maximum of 34.58%. As a general rule, people in lower income tiers and higher age brackets will receive larger rebate. If you are eligible for an Australian Government rebate, you can claim it back at tax time, or through a reduced premium. To claim it through a reduced premium, you will need to supply your insurance provider with your age, predicted income bracket, and whether your new policy covers you or a couple/family. Keep in mind that if you claim in the wrong tier, an adjustment will be made at tax time. Learn more about health insurance during tax time. The policy you select will be the greatest determinant of price, as policies can range from comprehensive (most costly) through to basic (budget policies). The services you have covered by your policy will affect your health insurance premium, so it’s important you regularly assess what you need cover for and tailor your policy accordingly. For example, if you have a top-level hospital insurance policy, it will cost more because it generally covers any service/treatment that Medicare pays a benefit towards; such as obstetrics, joint replacements, assisted reproductive services and more. Conversely, a basic policy will cost less due to less of those treatments/service being available for you to claim on. If you take out a policy that restricts or excludes, it may positively affect the price as well. Covers one adult only. If you’re over 30, and taking out health insurance for the first time, you could be subject to LHC loading, which you would have to pay in full as a single policy holder over a 10 year period. This is a set amount you agree to pay when you go to hospital and claim on your insurance. No matter how long you require treatment, this figure doesn’t change – provided you remain on the same policy. This is generally paid for on your first admission for the membership year. If you go back into hospital within that same membership year, you do not pay the excess again. The excess you choose to pay can affect your premium, since lower excess rates can lead to higher premiums, as providers would be footing more of the bill. Health insurance premiums are subject to change every year due to the annual premium review. It is a process where health insurance providers submit an application to increase premiums to the Minister of Health. Once the submitted changes are reviewed and approved, they are usually effective after 1 April. Wages for hospital staff and medical professionals. Costs of complex procedures completed through private hospitals. Learn more about the health insurance premium rate rise and how it could affect you. Are your premiums making you reconsider your health insurance cover? Why not try to find a more suitable policy? Compare policies from several Australian providers by using our health insurance comparison service. It’s free and you can receive quotes in just minutes. You can also talk to one of our experts on 13 32 32. They can help take the confusion out of health insurance and even handle the paperwork. Related Posts of "Factors that affect your health insurance premiums"